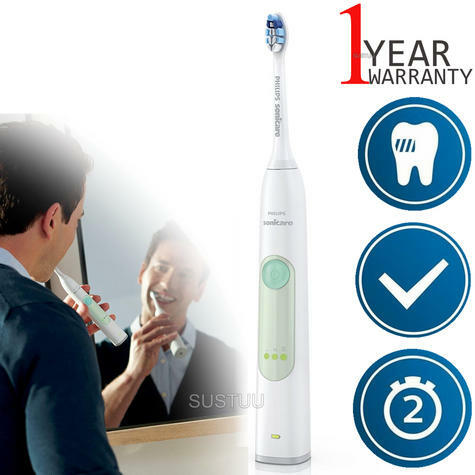 Provides superior plaque removal and gum care in an easy-to-use power toothbrush to help prevent and reduce the early signs of gum disease while offering you the most comfortable brushing experience. 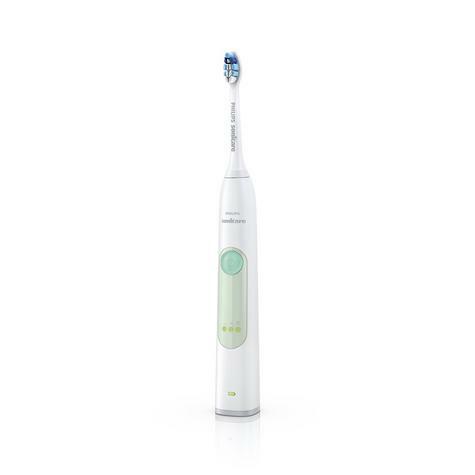 With superior plaque removal along the gum line, this toothbrush can help to improve gum health up to 100 per cent and reduce bleeding gums in just two weeks vs. a manual toothbrush. The unique dynamic cleaning action drives fluid deep between teeth and along the gumline leaving you with results you can see and feel. 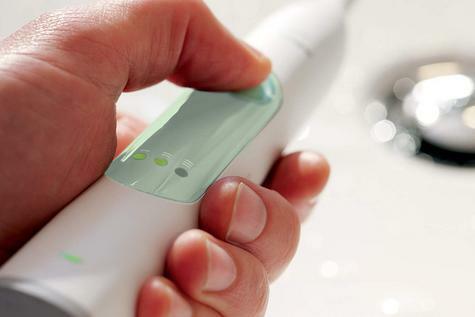 The gentle motion of this Philips Sonicare power toothbrush is safe for braces and dentures. 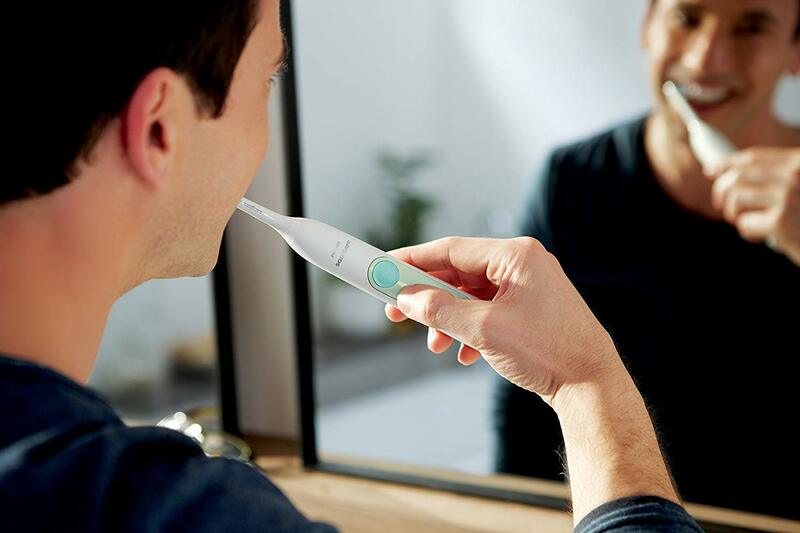 Along with the 2 minute Smartimer, the Quadpacer indicates when you have completed each quadrant of your mouth and signals you to move on, helping you to brush your entire mouth for the dentist recommended 2 minutes.